Check your Telco Coverage Map. 2.1 Check your telco's coverage . a. Click Here to check Telstra, Optus and Vodafone coverage maps. 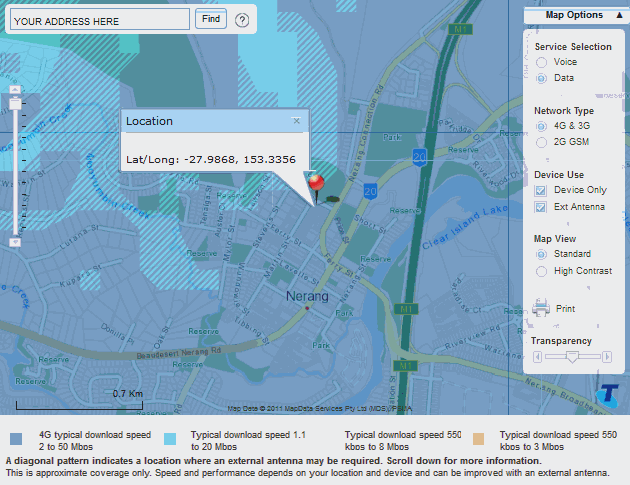 b. Telstra Coverage Maps accept Lat/Long or street address, thus can be pasted into the search box. 2.2 Coverage estimate for your location. - Vodafone and Optus Maps allow only valid street address. 2.3 Zoom Out to get the big picture. - Zoom in/out to get an idea of where the Cell Towers are located. 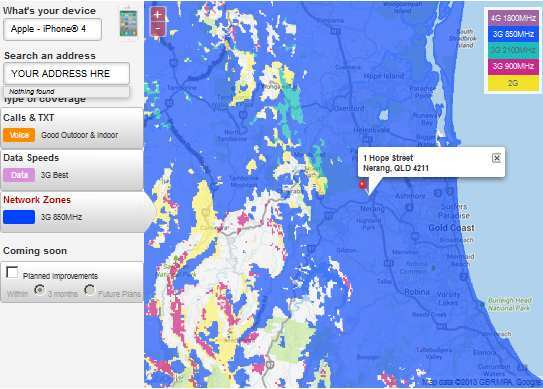 TIP: Enable POP-UPS in your web-browser for onwireless.com.au to view all the content such as the Mobile Coverage Maps.